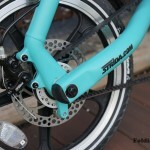 A few weeks ago, I had an opportunity to review the STRiDA SX, the first A-shaped folding bike I had ever used. 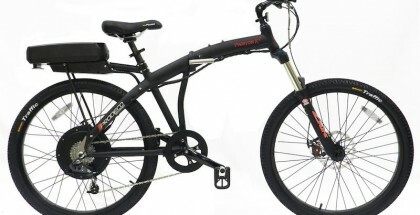 I had good impressions with that bike and found it one of the best portable solutions. 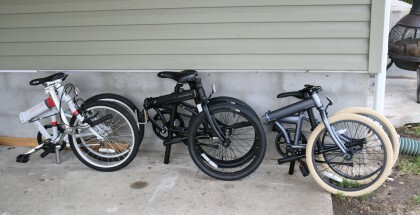 The STRiDA LT is even smaller and cheaper. 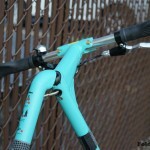 So what compromises will you have to make when using this bike? Keep reading to find out. 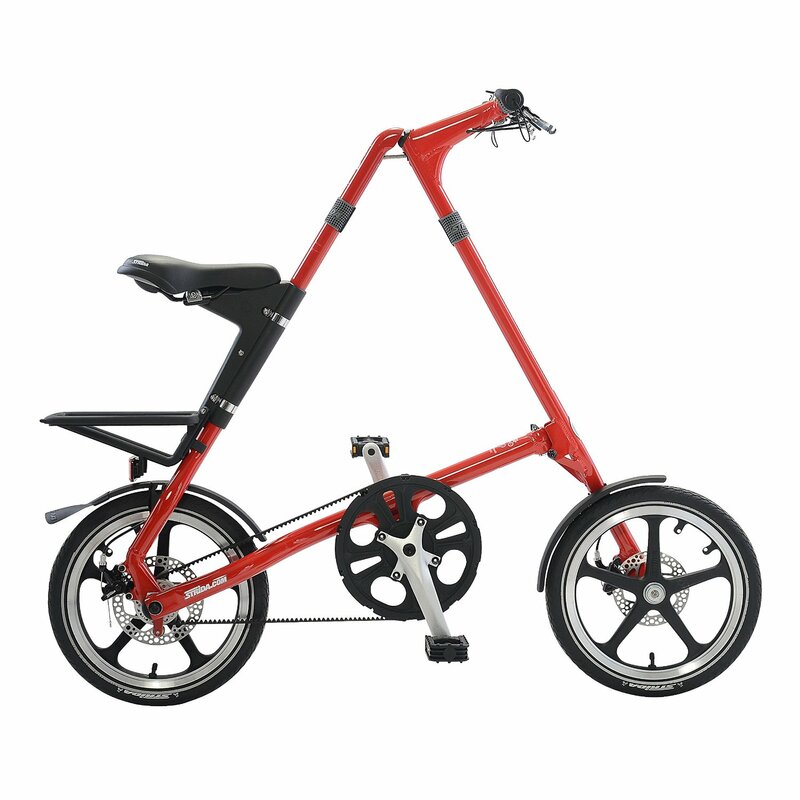 STRiDA LT folding bicycle is another great A-shaped folding bike with an internal cabling and a height adjustable saddle. 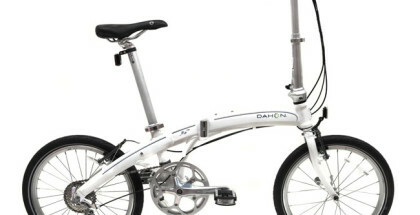 This type of a folding bike impresses cyclists with its unusual design. 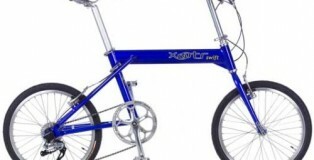 It’s worth noting that the bike comes with a triangular frame that is made of aluminum. Other bike’s parts are also made of aluminum. That’s why the bike is lightweight and you’ll definitely find it easy to transport it from one place to another. 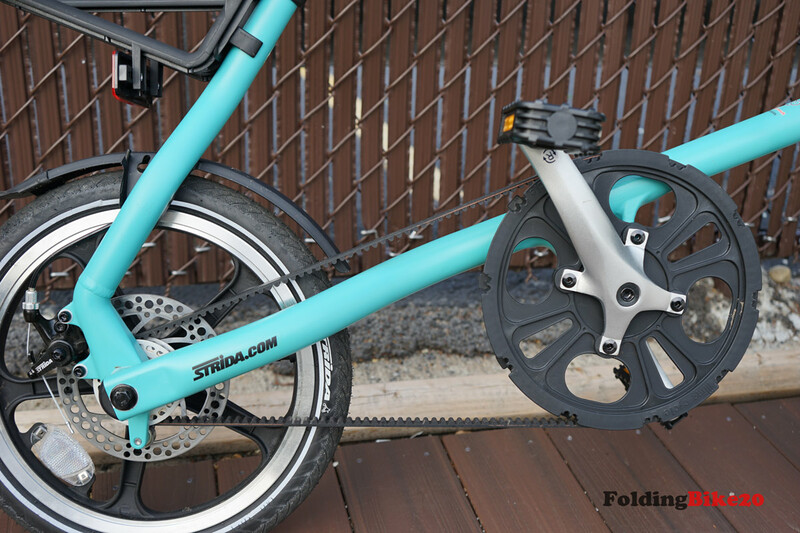 Obviously, STRiDA LT folding bicycle has been designed to make it easy for cyclists to enjoy the ride anywhere they want. 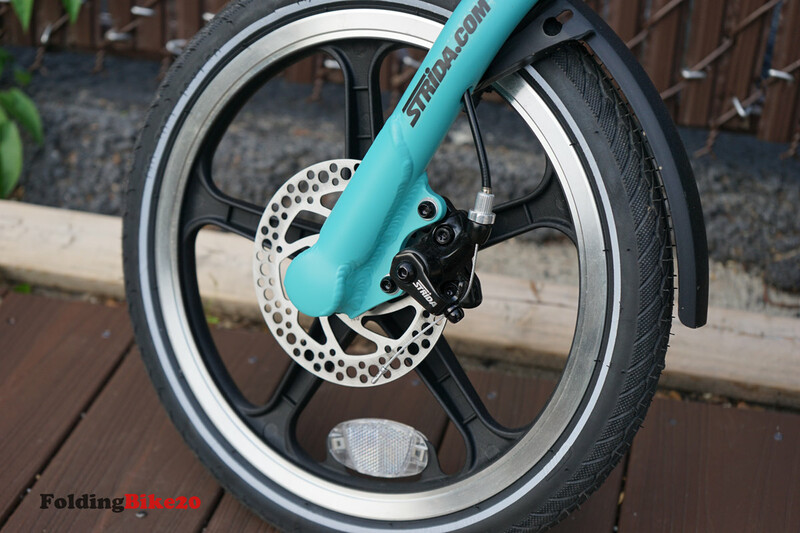 The bike’s key features also include: STRiDA special belt drive that allows a cyclists to ride up to 50,000 miles, 16 inch mag wheels, mudguards, disc brakes, folding handlebars, folding pedals, reflective Innova tires, etc. 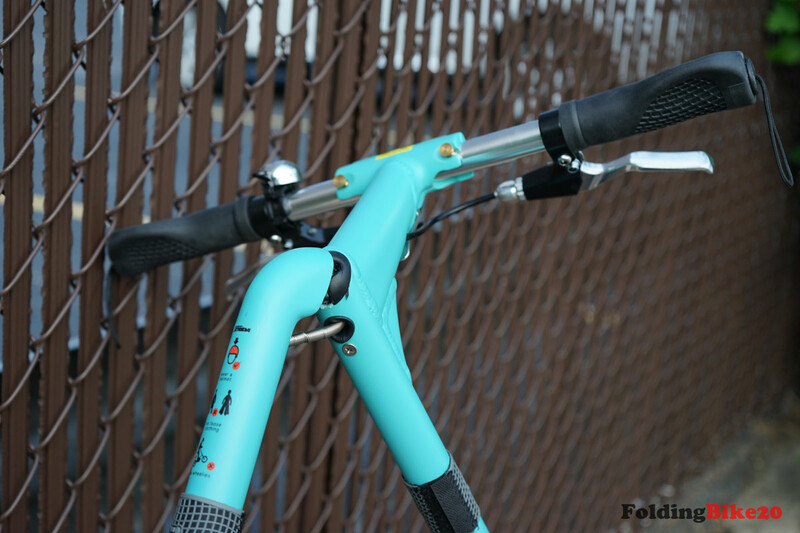 What is great about a triangular frame is that it makes it possible for cyclists to fold (or unfold) the bike very quickly. In fact, the folding (unfolding) process is very simple. 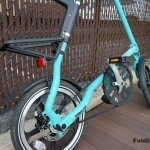 So, it will take you only about 5 – 10 seconds to fold (unfold) a bike when such a need arises. It’s also important for you to know that STRiDA LT folding bicycle is available in five different colors – red, white, black, blue and turquoise. That means that you’ll be able to select a bike that meets your design preferences in the best possible way. It’s fair to say that STRiDA LT is a light and compact bike that has everything that you need for a comfortable ride. 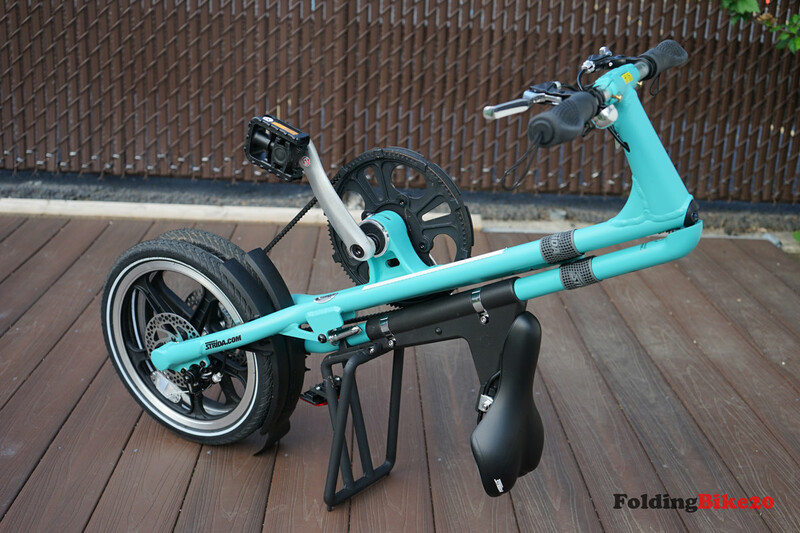 Traveling with this folding bike would never be hard. Keep in mind that it will not take you too long to load a bicycle in your automobile. It’s pretty easy to take a bus on train. The STRiDA LT is exactly the cheaper version of the STRiDA SX. 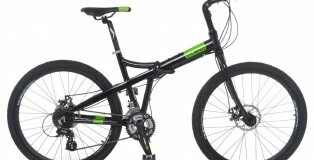 It has the same design but the wheels are even smaller at 16 inches and I also found that some components are not as high-quality as on the higher-end bike. 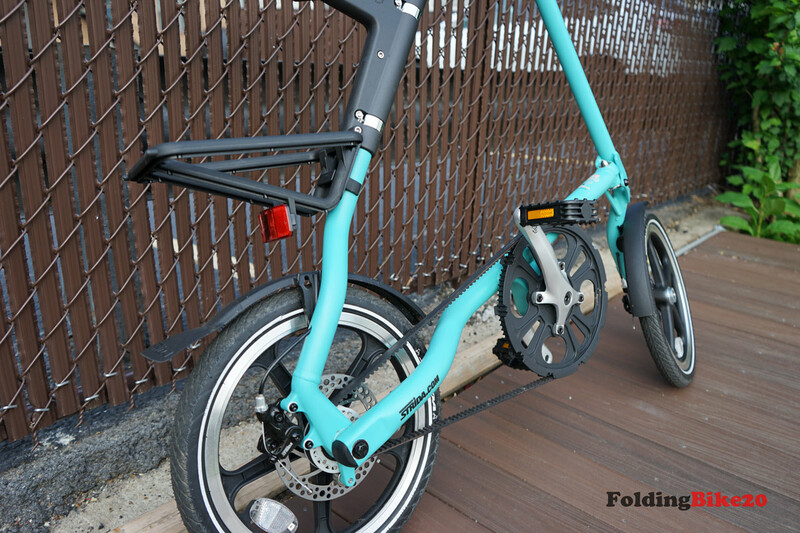 The rear rack is made of plastic instead of metal, this makes the bike unsturdy because STRiDA bikes use rear rack as a stand when being folded. 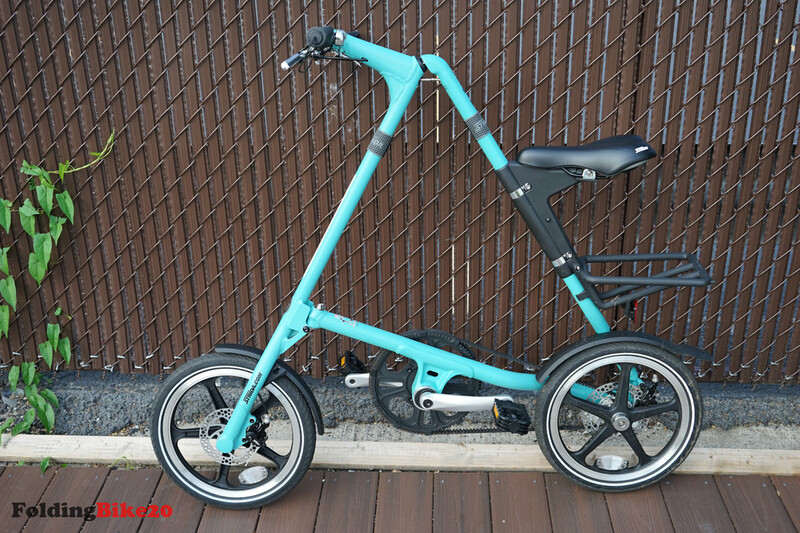 Besides, you can’t find a kickstand on the LT, I can understand that STRiDA wants to reduce the costs but it is so inconvenient using a bike without a kickstand. 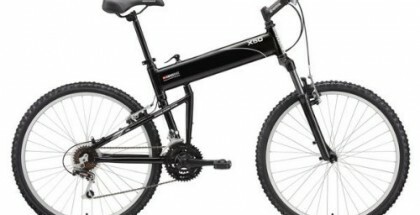 Of course I can lean the bike against any wall but I really think you should buy a kickstand if you have the bike. Another issue is the unadjustable seat mounting, so it might take a few attempts to set up the correct height. 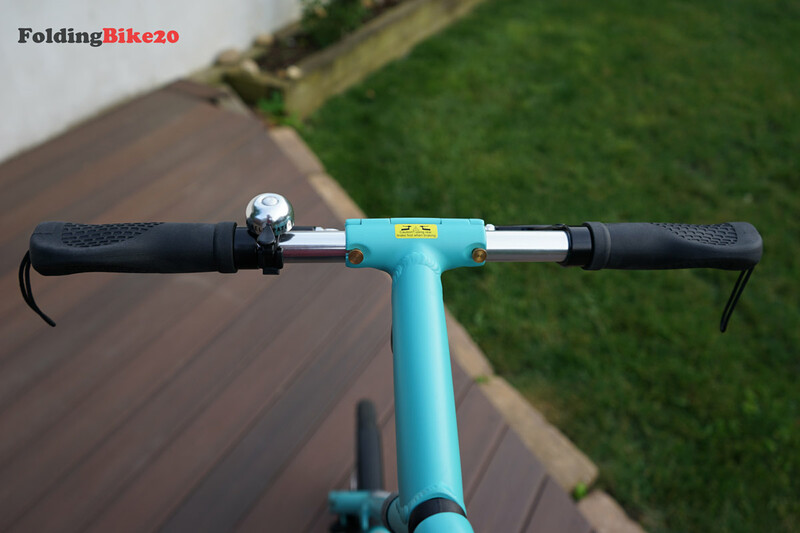 If you share the bike with another member in your family, you’d better buy the adjustable seat mounting because it will save you a lot of time. 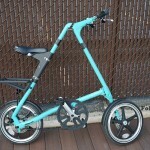 Similar to the STRiDA SX, you should have some tools to assembly the bike. Actually you just need to attach the seat mounting onto the body but it could take you about 10 minutes. You can watch the video on top to see the assembly process. 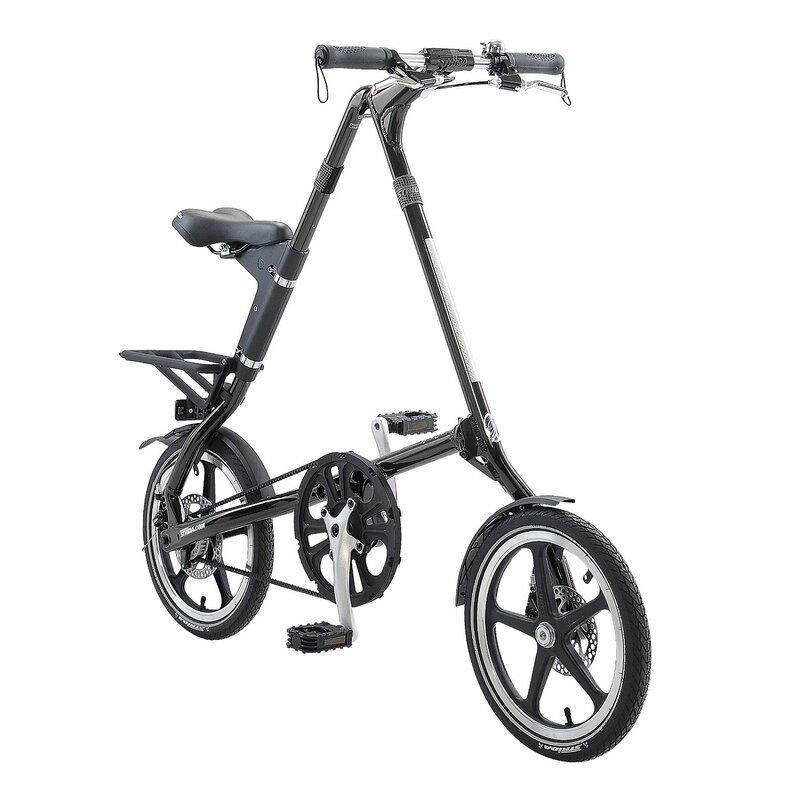 On the other hand, there are a lot of advantages of the STRiDA LT. 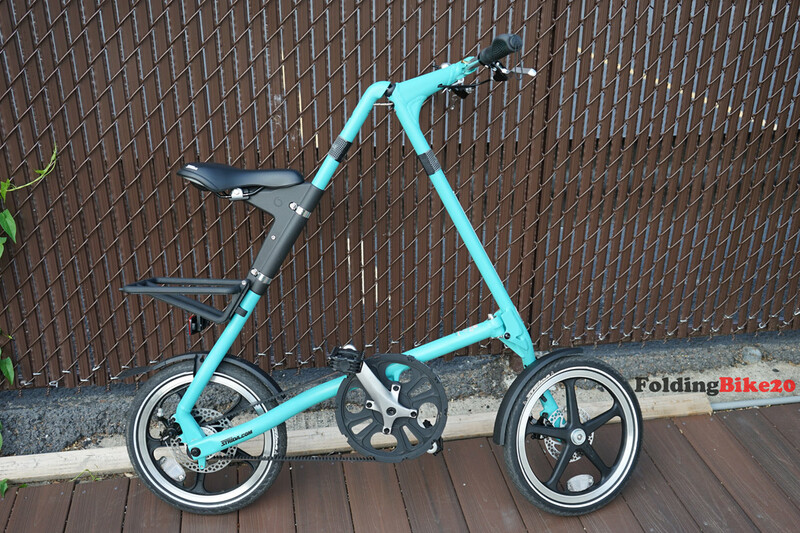 The bike is very lightweight at 22 lbs (4 lbs lighter than the STRiDA SX), it has the same minimal design with almost no visible cables, easy to ride with single speed, and the aluminum frame still looks very sturdy. You might be wondering about performance of the wheels and drivetrain system. Of course the bigger wheels are much more comfortable when you have to deal with bumps and holes on the road. However, I’m quite surprised that I can ride pretty fast on the tiny wheels. 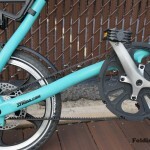 The drivetrain performs pretty well and I don’t have to apply significant force on the pedals. In general, the riding experience is good enough on paved roads and I can ride a couple of miles without any problem. 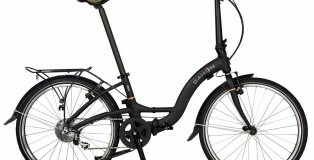 Would you like to bike a folding bike that has been designed in an unusual style? 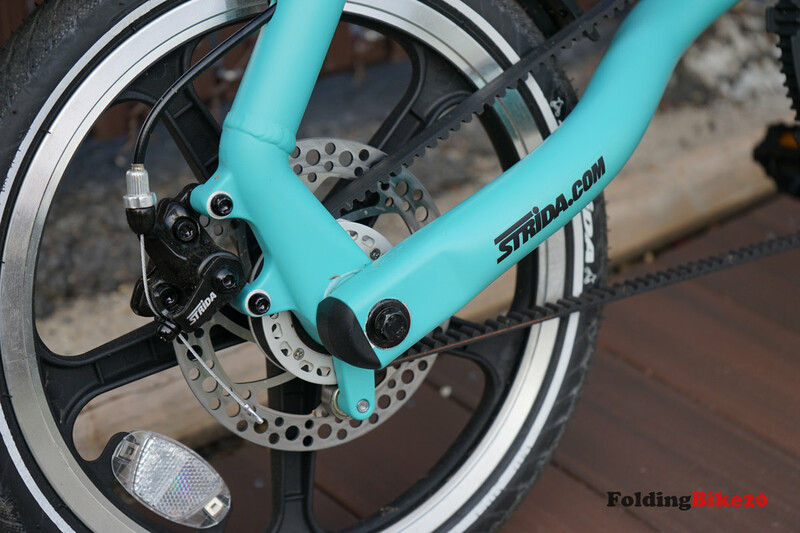 If so, it makes a lot of sense for you to pay a close attention to STRiDA LT folding bicycle. STRiDA LT is known for being an affordable bike that comes with a triangular frame. 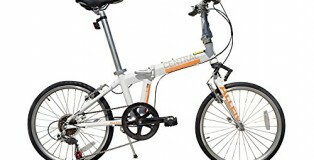 This is an acceptable bike but I’d recommend the STRiDA SX if you really love the triangle shaped folding bike. It costs extra $100-200 but the improvements are totally worth the money. 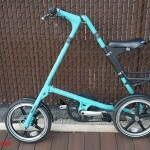 Obviously, STRiDA LT folding bicycle has built a solid reputation on the market. 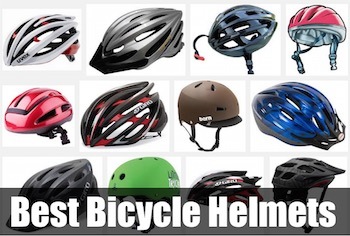 According to the statistics, the vast majority of cyclists are happy with the bike. The statistics shows that up to 67% of cyclists have left 5 Star reviews about the bike, up to 9% of cyclists have left 4 Star reviews about the bike and up to 15% of cyclists have left 3 Star reviews about the bike. Happy customers say that STRiDA LT is a flexible, easy to carry and fun to ride folding bicycle. 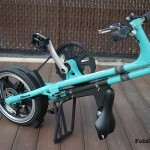 That’s why they highly recommend this folding bike to other cyclists. 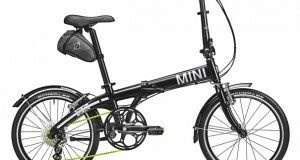 Only 9% of cyclists are not happy with STRiDA LT folding bicycle. You need to know that 3% of cyclists have left 2 Star reviews about the bike and 6% of cyclists have left 1 Star reviews. Unhappy clients say that the bike has low quality components. 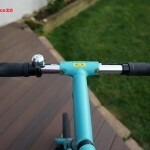 Some cyclists are unhappy to see that the bike has no documentation on seat installation. 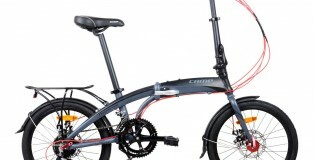 The lowest-priced folding bike with acceptable quality, ideal for short commutes.